1. It affects your school life. 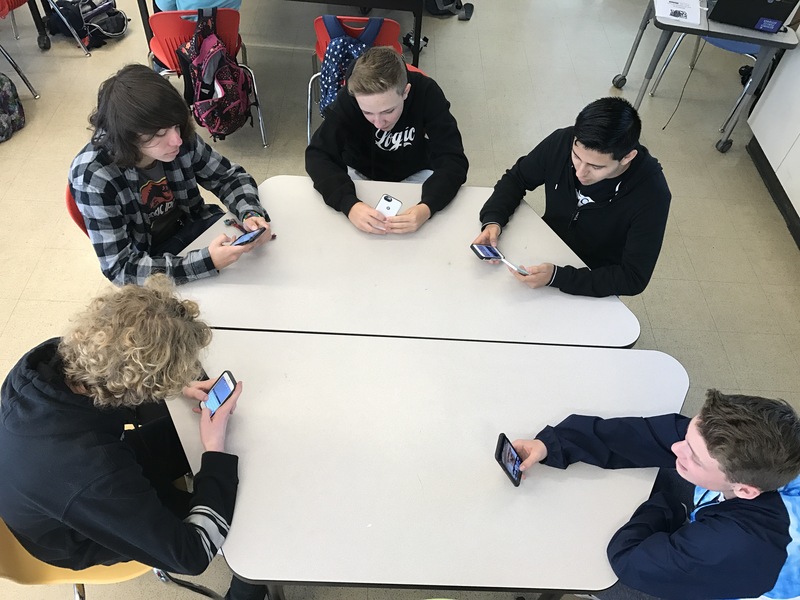 In every class I go to, I see at least a small amount of students on their phones when the teachers are talking, explaining, or when students are supposed to work on projects. It takes up their time and that only leaves them a couple of days to complete the project, while others who use their time wisely have weeks to complete each project and also have time to work on other projects from different classes. 2. It can get you in trouble with teachers. I have seen many students getting their phones taken away by teachers many times, but it’s the students’ responsibility to take care of their phones, and they shouldn’t put themselves in that position. When their phones are away, the only thing that runs through their mind is the messages they’re missing, leaving people on “read,” a statement people use when someone reads a text but doesn’t reply, or if the teachers will send an email to their parents about them misusing their time at school. 3. It can affect your grades. When on social media, you mostly forget what you’re doing at school and forget what the teachers are explaining. Later on, you can’t remember anything about what to do for your project, and you get a bad grade on it. 4. It can affect your friendships with teachers and students in real life. You can say that you have friends online, but if you only believe in that, you can’t have physical time with others. If you hang out with others in real life, you can play games, go to restaurants and movies, or just chill with each other. Through social media, you can only view and like posts. Even though many companies are adding games to their products, there is no fun playing with someone from a distance. These are the results of a survey of Summit Prep students who disclosed how many friends/followers they had and how many of them they talk to offline. 6. You get put into drama. Drama has been around for awhile, and it just keeps spreading. I’m always away from it because I don’t have social media, but it’s annoying to hear every piece of drama going on during school. On social media, most students are friends or followers to each other, and, when someone posts a comment to someone, everyone sees it, and that’s the only thing people talk about at school. 7. Social media was not made for everyday use. Social media was made to interact with people you know who live far away or to share something interesting with others. We shouldn’t make social media mandatory for our lives. We should only make social media as a backup thing if life is going slowly, or if you are alone for the moment, but not when you’re around a group of friends. These are the results of a survey of Summit Prep students who disclosed how much time they spend on social media.